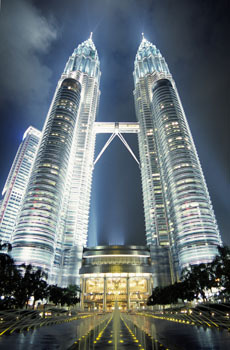 We arrived in Kuala Lumpur on the 5 November 2003 following a flight from Thailand where we had spent the previous 10 days. November 6 I bought a new 70 - 200mm Nikkor lens from a small shop on Orchard Road. We also visited the 928 foot observation deck at the Menara Tower. I finally got to Kuala Lumpur expecting to see the worlds tallest building. However, while on a tour of the Petronas Towers we were told that Taipei 101 (Financial Center) had been announced as the world's tallest building just a few weeks earlier. 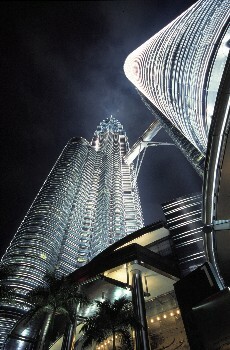 At least the Petronas Towers had retained the title of the "world's tallest twin towers". 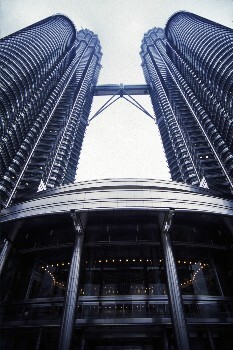 At 1,483ft (451.9m) in height the 88-storey Petronas Twin Towers were the tallest buildings in the world from April 15th, 1996 until October 17th, 2003 (all of 33ft higher than the Sears Tower). 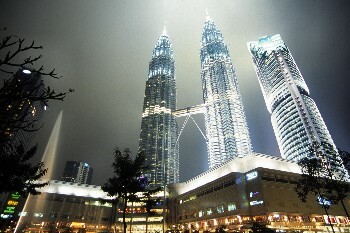 Taipei 101 (Financial Center) became the tallest building once it topped out at 508m (1676ft). 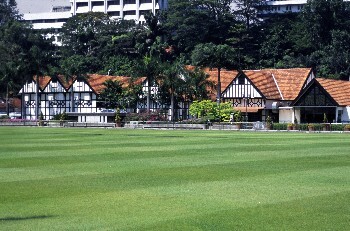 Located beside the Royal Selangor Club, this is the historic place where the Union Flag was lowered and the Malayan flag was raised for the very first time at midnight on 31 August 1957. 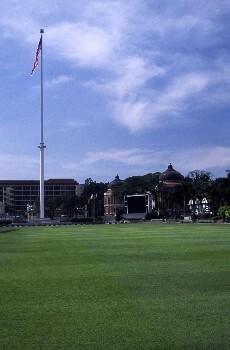 Merdeka Square is now the venue for the annual Merdeka Parade. 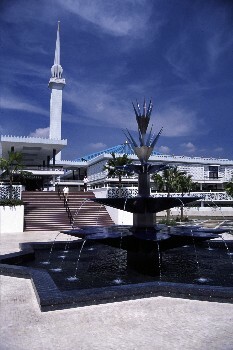 The Kuala Lumpur National Mosque with its 240 foot minaret. 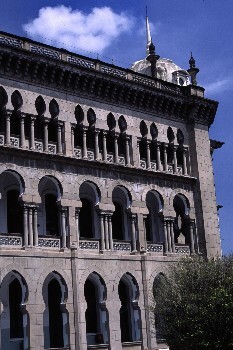 Located to the southeast of the National Mosque is the Kuala Lumpur Railway Station. Kuala Lumpur’s main railway hub until 2001. November 8 Following our stay in Kuala Lumpur we returned to the UK.